Will Congress Admit Dawood Ibrahim? THERE WAS A TIME when Bharatiya Janata Party was believed to be a party with a difference – a party of principles which it would not compromise. That, it seems, is history. All political parties contest elections to win and come to power (except perhaps those who contest just a few seats to retain their registration). But then winning elections becomes an end in itself — an end guided by ‘pragmatic’ decisions and ‘electoral compulsions’. Amit Shah has brought to the party politics of manipulation. ‘Winnability’ is the main criterion. ‘Practical considerations’ have nothing to do with what the party stood for. Ideology takes a back seat. The Congress fell because winning was all it wanted — winning so that its leader could enjoy the fruits of power. Most of them have become multi-millionaires if not billionaires. And ‘scam a day’ was common. That was not expected of BJP which is supposed to be ‘remote controlled’ by the Rashtriya Swayamsevak Sangh ideologues, consisting mostly of old men of learning and wisdom who sacrificed their lives for their ideology. That is the new face of the “pragmatic” politics of today. Rita Bahuguna-Joshi, once UP Congress President, could be admitted to BJP and made a Cabinet minister. The party could take in Narendra Tewari, Congress CM of two states and a governor who had to quit over womanising even when facing a paternity case from a son he bore out of wedlock. It could induce defections in other states and continue to have alliance with Shiv Sena despite all is attacks — in the name of pragmatism and electoral requirements. So what is wrong if tomorrow Indian National Congress admits Dawood Ibrahim under the (mistaken) notion that it could win Muslim votes for the party? Is this the new reality and pragmatism of Indian politics? 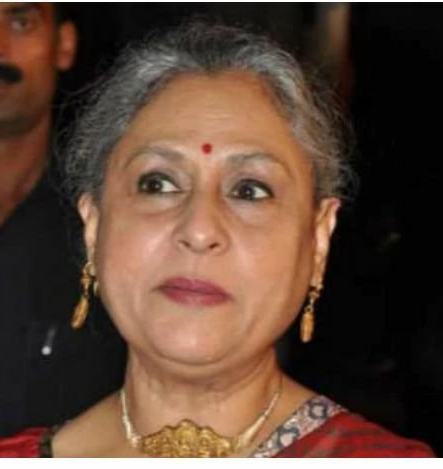 Agrawal’s derogatory remarks against Jaya Bachchan, the Socialist Party MP, touched off an outrage as he called her someone who dances and sings in films. I always thought Jaya was something more than just an actress (not just because her father, T.C. Bhaduri, who was a senior journalist and author, brought me into the profession) but someone who always asserted herself on women’s issues. Unlike most of the ‘decorative’ ‘glamour faces’ from the entertainment industry inducted into Parliament by the Congress, Jaya has been an active parliamentarian. Agrawal’s attack on her came only when the Socialist Party preferred her over him for Parliament seat. If it been his stand that such ‘glamour girls’ had no place in Parliament, he should have said it when he was still in SP. Just as all the senior Congress parliamentarians kept mum when Rekhas, Tendulkars and Lata Mangeshkars, eminent in their own fields but misfits in politics, were brought in by their party, Agrawal too was silent when Jaya was first inducted. One welcome aspect of the controversy touched off by Agrawal is that among those who criticised him for is derogatory remarks were leaders of the BJP itself, including senior Minister Sushma Swaraj and Roopa Ganguly an actress-turned-MP., who defended Jaya Bachchan, who herself refused to comment.This is something unheard of in Congress. Renuka Choudhary, known for her ‘Shurphanaka’ guffaws, was silent. ‘Behenji’ Mayawati too came to Jaya’s defence, but obviously this was prompted only by the new electoral understanding between her Bahujan Samaj Party and the SP, entered into by the parties when the political fortunes of both declined drastically. Agrawal’s entry could mean the exit of ideology from BJP political horizon. Posted on March 13, 2018 Categories UncategorizedTags Beheji, Congress Scandals, Dawood?, Dynasty, Glaamour girls, Glamour girls, Ideology, Jaya, Pragmatism, Rekha, Silent Seniors, SycophancyLeave a comment on Will Congress Admit Dawood Ibrahim?